It's correctly said, "Prevention is better than cure." When someone has developed hypertension it becomes mandatory to take hypertension medicines for life. However, making some lifestyle changes early in life may avoid or delay the progression of hypertension. If you can keep blood pressure in control, you might be able to avoid the need of medications for hypertension, or only require low doses. 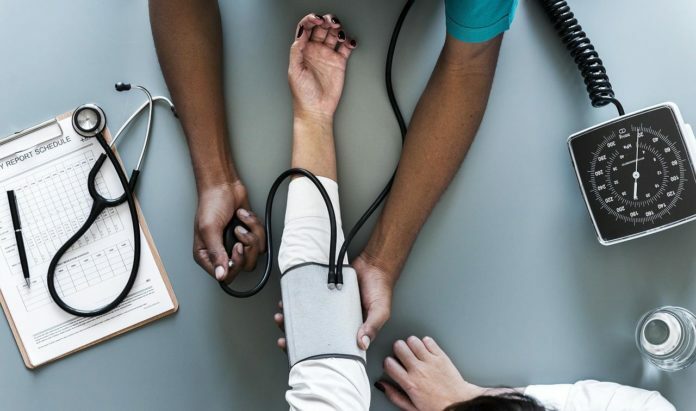 The recent buzz in media about the banned drugs of hypertension has made the healthcare providers rethink their stand about the drugs for hypertension. The updated guidelines left the medical scientists in a split. Leaving all this confusion behind, here are a few lifestyle changes that are basic yet effectively help in avoiding the long-term medications for hypertension. Hypertension, also known as high blood pressure, is the pressure caused by blood on the artery walls. It is referred as the silent killer as it shows no symptoms and in some cases, stays there for years unnoticed and untreated. The constant pressure on the arteries damages its walls leading to various major health conditions such as cardiovascular diseases, stroke and kidney diseases. High blood pressure is triggered by factors that are an amalgamation of controllable and non-controllable. The non-controllable factors include family history, age and gender. The controllable factors include the lifestyle, diet and physical condition. As the name implies, the latter is ‘controllable’. In the attempt to avoid the medications for hypertension, lifestyle plays an important role. Consistent efforts that include a healthy lifestyle, diet and physical activities may help you in avoiding the long-term medications that are prescribed to bring your blood pressure numbers down. Continue reading to know these simple lifestyle changes that help you in this feat to regain your health! It all starts with a healthy diet routine and creating this diet plan is simple. Make sure you eat whole grains, vegetables, fruits, low-fat dairy products and stay away from saturated and high cholesterol foods. We all have heard that increased potassium and lowered sodium diet works wonders for people with high blood pressure and cardiovascular diseases. Write about what you are eating in a diary or make a note of it on your smartphone. You can track your own eating habits and even in general terms, it is very important to know your diet habits. Consult with your dietitian on a regular basis as they could help you by shedding more light on your path to attain a healthy lifestyle by eating healthy food. You don’t have to be a scientist to understand that the blood pressure is proportionate to your weight. Weighing higher than what you are supposed to be, can cause disruption in all your internal systems. Take efforts to bring down your weight. Being the right weight is the most important lifestyle change. The fat accumulated around the waistline puts you under the great risk of being diagnosed with high blood pressure. Consult your doctor to know your ideal weight limit and work out to maintain the numbers. Exercise is the best way out there to lose those extra pounds. Involve in some kind of physical activity on a regular basis for at least 30-45 minutes. It is important to be consistent as stopping exercise may raise your blood pressure again. Exercise has such impact on blood pressure that if you have hypertension, it brings down the numbers to a safer level within a considerably less time. Simple exercises that include walking, jogging, swimming and cycling could yield the results. If your body supports, try high-intensity exercises with subsequent recovery activities for every 3 days a week. The effects of caffeine in this lot are still being debated. However, you have to take control of your alcohol consumption while completely avoiding smoking. Each cigarette you smoke increases the blood pressure by 5-10 mm HG for many minutes after the smoke. Quitting cigarette smoking not only helps to maintain your blood pressure levels but also improves overall health. As moderate levels of alcohol consumption show a positive impact on health by lowering blood pressure, excessive consumption causes various health conditions that lead to hypertension. Check blood pressure within the 30 minutes after drinking a coffee to know the receptivity of your body towards caffeine. Considering the hustle and bustle of the modern day’s life it is common to find yourself in stressful situations throughout the day. There are controllable and uncontrollable factors that trigger this stress. Focus on better ways to deal with stress as it is proven that chronic stress leads to hypertension. Make yourself some time to relax. Make yoga and meditation as part of your daily life. Meditation has a significant impact on reducing the stress. If you are an elder living alone, there are many chances that you may succumbed to stress and depression. Take help from the home healthcare providers for all types of personal and medical care. Be content with what you have achieved in life. Living with expectations is another major stress factor. Chronic blood pressure can lead to major health conditions. But, it can be lowered with the help of a healthy lifestyle. Watch what you are eating, be consistent in your efforts, avoid non-healthy habits and dedicate some time for yourself to keep your blood pressure under control.